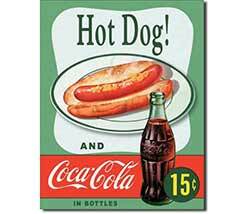 Hot Dog Coca Cola Tin Sign - Perfect for your vintage Coca-cola decor, retro kitchen, or man cave, this tin sign features a reproduction cola and hot dog advertisement! Special order. 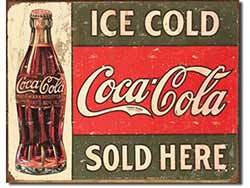 Ice Cold Coca-Cola Tin Sign - Perfect for your vintage Coca-cola decor, retro kitchen, or man cave, this tin sign features a circa 1916 reproduction cola advertisement! Special order. 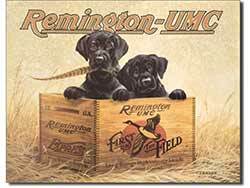 Puppies & Remington Tin Sign - Appealing to both dog lovers and vintage gun collectors, this tin sign features two black lab puppies in an antique Remington crate! Special order. 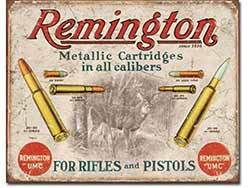 Remington Rifles & Pistols Tin Sign - Perfect for a man cave or a gift for a vintage gun collector, this tin sign features a reproduction Remington advertisement. Special order. 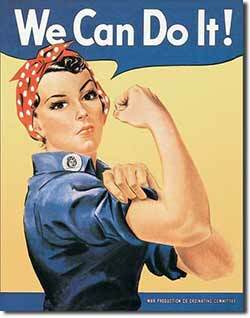 Perfect for your vintage Americana decor, this tin sign features the classic Rosie the Riveter cover on the May 29, 1943 Saturday Evening Post magazine! 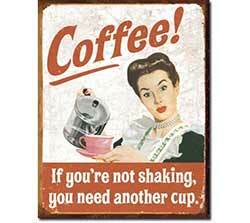 Vintage Coffee Ephemera Tin Sign - Perfect for your vintage kitchen or coffee station, this tin sign features reproduction vintage coffee ephemera, and humorously reads: "If you're not shaking, you need another cup!" Special order. 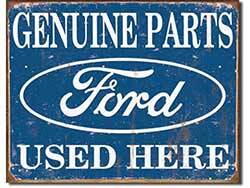 Vintage Ford Parts Tin Sign - Perfect for a man cave, autobody shop, or your garage, this tin sign features a vintage Ford advertisement. Special order. 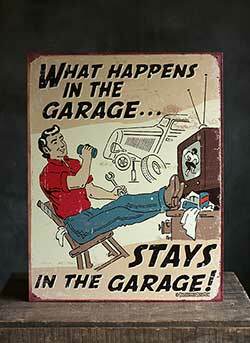 What Happens in the Garage Tin Sign - What happens in the garage, stays in the garage! Made of tin.